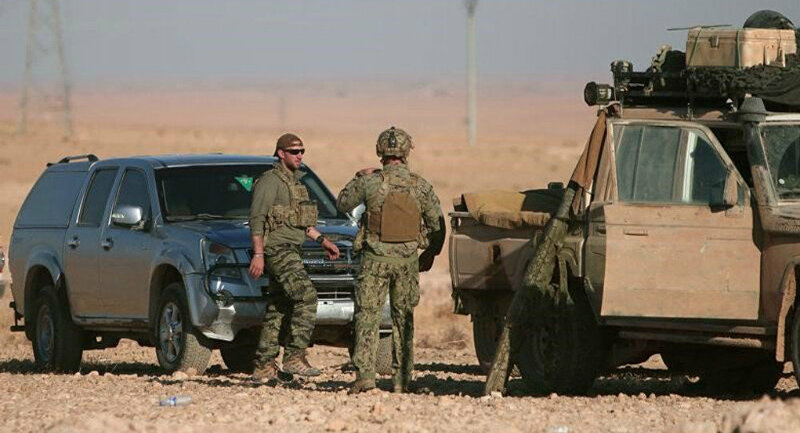 MOSCOW (Sputnik) - Moscow and Washington are preparing a deal to hand over Syria’s southern de-escalation zone and the US base in Al Tanf to Russian control and the matter may be decided during the Russian and US presidents' summit in mid-July, representative of Astana opposition platform Mahmoud Afandi told Sputnik. On Thursday, the Kremlin and the White House announced that Russian President Vladimir Putin and his US counterpart Donald Trump would hold a summit in the Finnish capital on July 16. Kremlin spokesman Dmitry Peskov said that there were no doubts that Syria would be discussed in a comprehensive manner. "The two presidents will make the decision that was supposed to be taken earlier in June, at the US-Russia-Jordan meeting at level of deputy foreign ministers in Amman, which did not happen in the end. 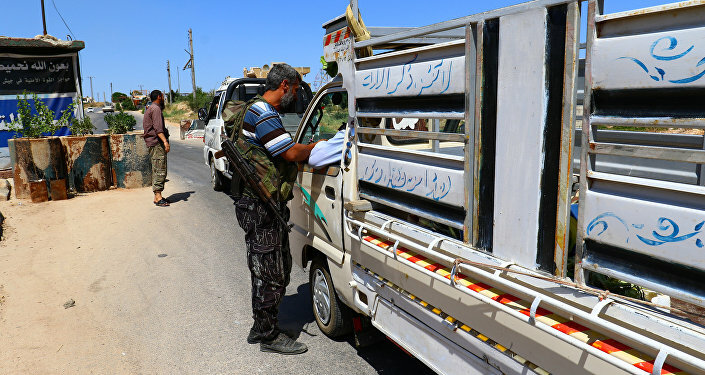 That is the US withdrawal from Syria’s south and the handover of the southern de-escalation zone to the hands of the Russian military police," Afandi said. The trilateral Russia-US-Jordanian meeting in Amman on Syria’s south was expected to take place in the second week of June at the level of deputy foreign ministers. According to Sputnik sources, once the Russian military police establish full control over the area, the local opposition would hand over all its heavy weapons to Russia and keep only small arms. Such a development would also mean that Iran would no longer have any presence in the area. The meeting, however, was canceled. "Also, the US military base in Al Tanf will most likely be handed to Russia," Afandi continued. "What does the US get in return? First, Trump did not plan to stay in Syria from the very beginning. Second, Iran and Hezbollah will no longer be present in Syria. Simply because there will be no longer need for that. They were in Daraa area, but if this decision is taken, it will be Russia who established control of it," he said. After these developments on the ground, the issue of political settlement and the Syrian constitutional commission will move forward, according to the opposition figure. "As soon as the militants in the south are left without the US support, the issue of the constitutional commission will start getting resolved. Those opposition groups which are moderate and constructive, willing to engage in dialogue, will be included in it, and those which have a non-constructive position will simply lose their presence on the ground," Afandi said. 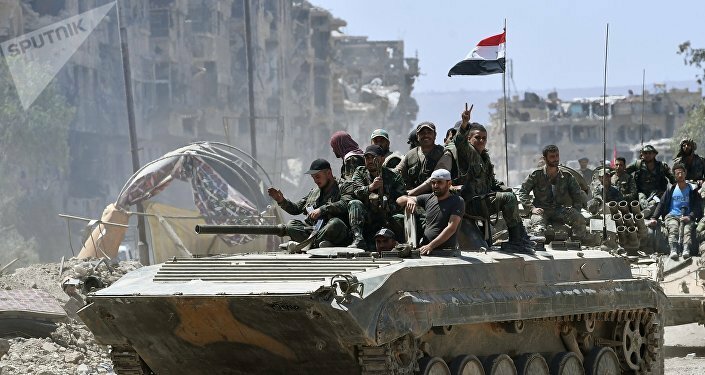 Militant groups in Syria’s southern de-escalation zone have already started siding with Damascus. Last week, the first major group of militants from the Free Syrian Army — the Omari Brigades — sided with government forces following talks with representatives of the Russian reconciliation center, its leader announced in a statement, stressing that the group would fight against militants from the Nusra Front* and Daesh* terrorist organizations together with the Syrian army in the south of the country.